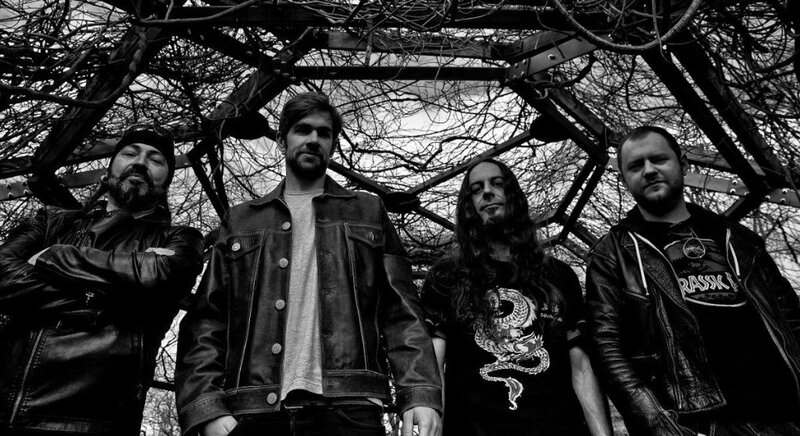 The melodic death metal band Aephanemer was founded in 2014 by Martin Hamiche and in 2015 he recruited the remaining elements of the band. In 2016 they released a first album, “Memento Mori”, and three years later we have in our hands the second studio effort by this French group. Not having listened to the first album, I must confess that when I started listening to the first track, I thought that i was in the presence of another copy of Amon Amarth. However, I was completely wrong, and after the brief intro, when the drums and the rhythm guitar kick in, I realized that I was listening to something different. Something equally powerful and huge. And then Marion Bascoul began to sing with rather harsh and aggressive vocals, and the song became marvelous. Powerful riffs, supported by double pedaling drums, catchy melodies and orchestrations which follow the music and create atmospheres are the condiment to an album that risks being one of the best melodic death metal albums of 2019. The songwriting is very good and features extraordinary guitar work, both lead and rhythm. The orchestrations, with special emphasis on some violin tones, provide an epic ambience. It is difficult to highlight songs in particular because the whole album sounds massive and cohesive, although at the same time quite diversified. However, I must mention the song “Snowblind”. In the second half of the song Marion sings with a clean vocal approach and makes the music dwell into folkish influences; Also, “If I Should Die”, the closing 9-minute long masterpiece deserves special honors. It also may be noted that there’s a good rapport between the band members, including bassist Lucie Hune who is the newest member of the band. With the mixing done by legendary Dan Swanö, the mastering of Mika Jussila and the artwork of Niklas Sundin, this band should only be proud of their opus. And “Prokopton” is a must have for fans of epic melodic death metal with a more aggressive vocals.